If you are a web designer, or are on your way to becoming one, you know the importance of staying up-to-date with the latest tools, techniques, and trends of the business. Learning CSS technology and continually improving your design and developer skills are essential elements of your success. 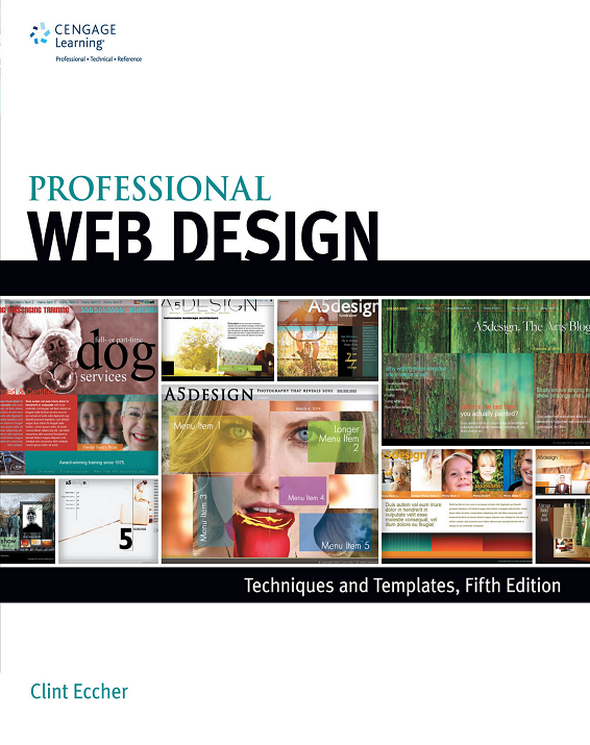 In this fifth edition of PROFESSIONAL WEB DESIGN: TECHNIQUES AND TEMPLATES, popular author and web developer Clint Eccher teaches beginning to intermediate web designers, through case studies and helpful tips and techniques, how to create attractive, fast, and efficient websites. In addition to the helpful instruction, readers will also have access to more than 200 completely customizable design templates. Eccher covers essential topics, from understanding how web development works today to working with clients, enhancing usability, understanding graphics, and much more. The included case studies cover a variety of requirements and design types. Get up to speed, and up to date, with modern web design--get PROFESSIONAL WEB DESIGN: TECHNIQUES AND TEMPLATES, FIFTH EDITION.